Dickinson Gleeson has for the second consecutive year won the prestigious Citywealth IFC Boutique Law Firm of the Year award. Held at the Rosewood London Hotel last night (23 January), the IFC Awards were established to highlight the excellence and expertise of those working in the private wealth sector in the major international finance centres. These awards follow Dickinson Gleeson winning the Legal 500 Offshore Law Firm of the Year in 2017. Dickinson Gleeson are pleased to announce two senior appointments in its highly ranked dispute resolution team. Advocate Robert Christie has been promoted to Partner and Pierre Ali-Noor has joined the firm as a Senior Associate. These appointments, which build upon a hugely successful year for Dickinson Gleeson in 2018, mark the firm’s continued organic growth and expansion as it cements its place in Jersey as a leading disputes-focused law firm. 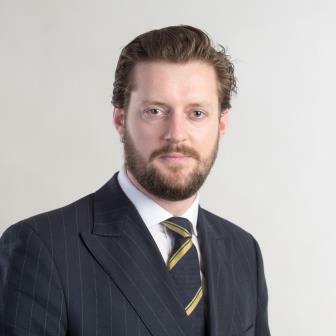 Robert, who joined the firm in 2015 having previously worked for Ogier in the BVI and practised at the English Bar in London, is continuing to build a practice focusing on trusts, company, commercial and insolvency litigation. Robert has been included in Legal Week’s Private Client Global Elite “Ones to Watch” list, a global list made up of 100 up and coming lawyers in the private client sector, for both 2017 and 2018. He qualified as a Jersey Advocate in 2017. Pierre joins the firm from Mourant where he was a member of the Jersey dispute resolution team. Before moving to Jersey in 2016, Pierre previously worked for the London office of Herbert Smith Freehills for a number of years. Pierre has also been recognised in the 2018 Private Client Global Elite “Ones to Watch” list and been listed as one of eprivateclient’s “Top 35 Under 35” for 2017 and 2018. He has been described by the Legal 500 UK as being “as smart as they come” and a name to note. Dickinson Gleeson is delighted to have again been shortlisted for the IFC Awards Boutique Law Firm of the year. The awards are partly decided by an online vote which closes on 1 December 2018. Use this link to cast a vote in favour of Dickinson Gleeson, noting that voters cannot vote for their own firms or colleagues. The winners of the awards will be announced on 23 January 2019.